Mark Twain, was not only considered by many to be the greatest author of his time, but also a great man who sought to wield his pen as a sharp tool intended to help protect the weak, and speak against the unfair policies of the imperialist powers of the time. As an avid anti-imperialist, Twain gave many lectures and speeches, while also producing other inspiring pieces of literature to fuel his cause. 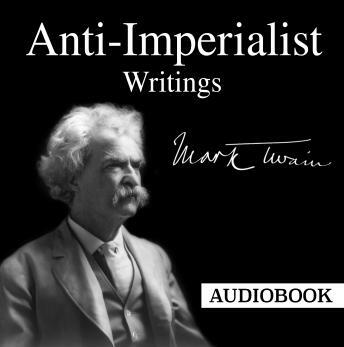 Mark Twain's Anti-Imperialist Writings reflect most faithfully the fighting character, uncompromising stance, sharp humor and brilliant intelligence of the famous author. Twain recognizes the need for a revolutionary voice, pointing out how many abolitionists were undeterred by so-called "patriots" who had despised and insulted them during the time when slavery was still lawful in the United States.